Ilica Waterfall is in the limits of Ilica village and 12 km far away from Pinarbasi town. From Ilica village to the waterfall takes half an hour by walking through the path. Ilica Waterfall falls from about a height for 10 meters and forms a pool. The importance of this waterfall is because of the variety of the trees and plants surround the pool. The holes in the rocks eroded by the water in a long period of time are another nice view when the upper path of the waterfall followed. 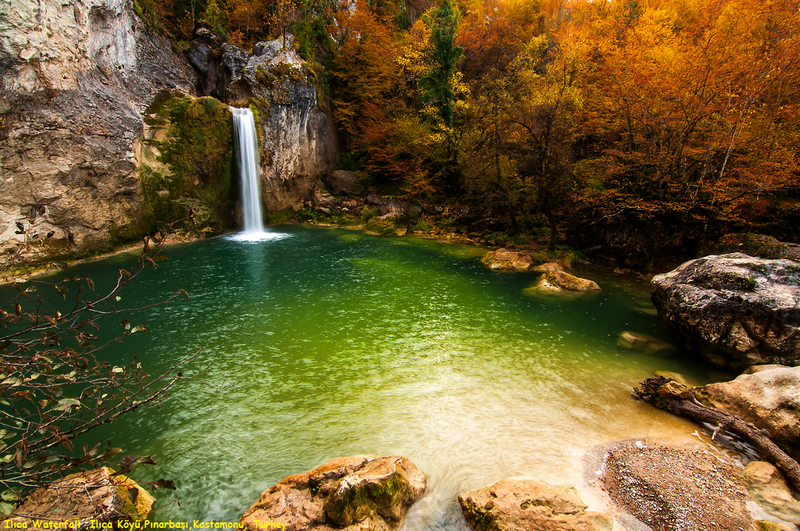 Ilica Waterfall has delightful landscape beauty and the emerald color of the lake. You can swim in this fall.